Now a Google Hotel Finder Might just know where you are! Now Google might just know where you are visiting and privacy advocates are already worrying about this new Google product. Google has introduced details of a new experimental search tool called Hotel Finder [google.com/hotelfinder]. 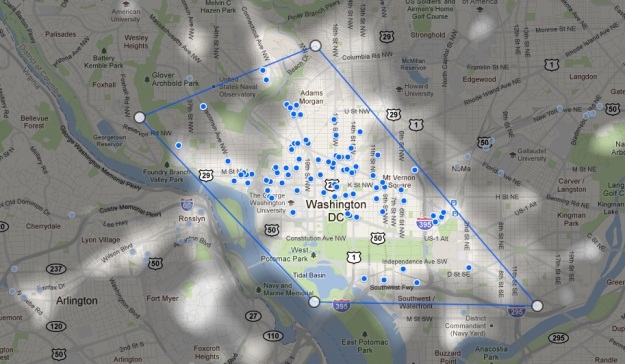 The tool is intended to help tourists in their search for the most suitable hotels in US cities. You choose a city where you are visiting and the system presents an initial shaped area which represents a suggested narrowed-down part of the city. This initial shape represents the most popular region within the city for visitor accommodation and all the applicable hotels are marked with a clickable dot on the relevant location. 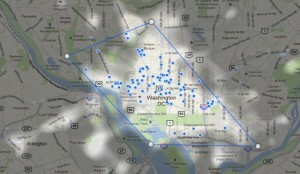 This shape can be manually revised to cover any other part of the city you may wish to explore hotels in. The spotlight feature presents a highlighted layer over the map shining brightly over the the most visited parts of the city (note the difference between most popular for accommodation and most visited). Using this information you can decide the best location to stay according to your personal preferences. The tool also offers a comparison of live prices with typical levels, a means for keeping a shortlist and a rapid way of comparing different options. Perhaps it could be more effective if this layer was presented using a heat map to make presenting and distinguishing the intensity of visitor levels a bit clearer. For example, a spotlight map of New York is essentially portrayed with the same brightness across Manhattan, even though there will clearly be variations across the city. At the moment only selected US cities are available with the Hotel Finder but expect many more should it prove popular.